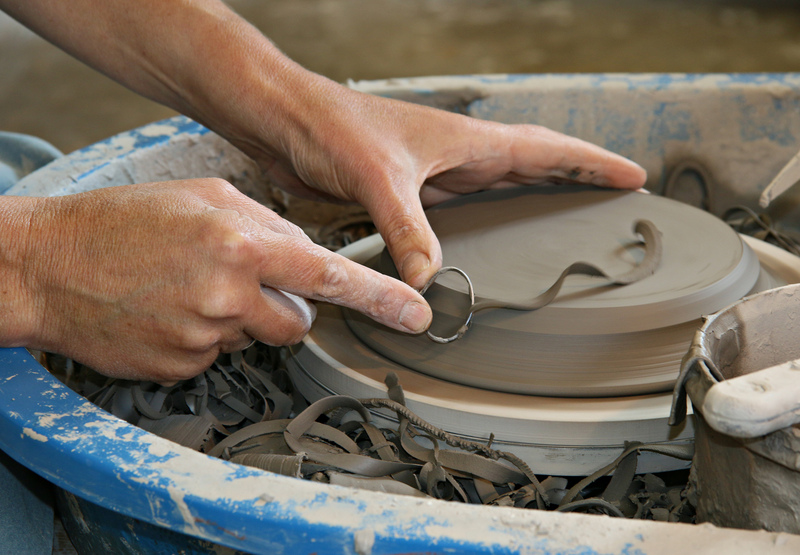 Jennie originally trained in Swansea and then undertook a short apprenticeship in the village of La Borne in France, where she started making Reduction Fired Stoneware. In 1993, she set up her own workshop in Surrey, developing her “Domestic Range” of Tin Glazed blue and white chequered work and her distinctive “Mishima Range”. Jennie was based at Project Workshops in Hampshire from 2001 to 2014. 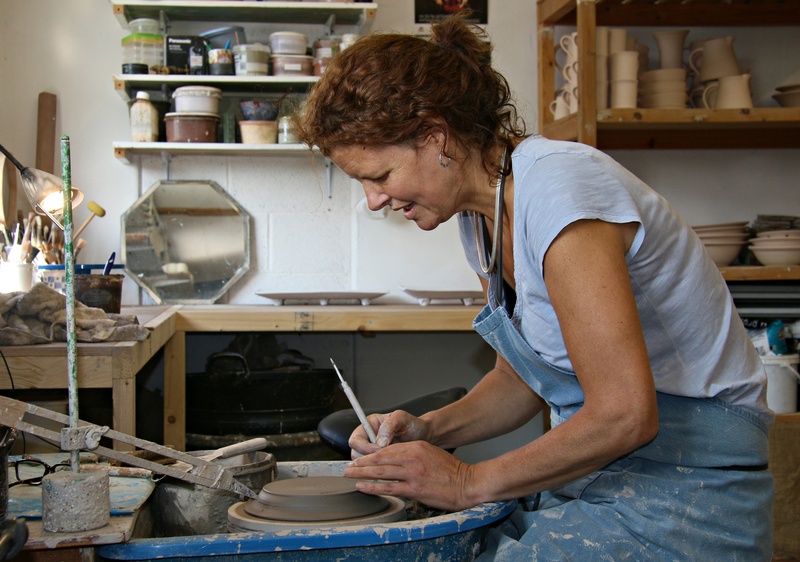 Jennie moved to St Martin’s Workshops, Fifield Bavant in Wiltshire in 2014. She exhibits extensively and has work in public and private collections throughout Britain and abroad. © 2019 Jennie Gilbert. All Rights Reserved.